The University of Wisconsin-Madison Collaborative Center for Health Equity (CCHE) is committed to increasing the number of investigators, particularly minority investigators, engaged in health disparities/health equity research who are successful in academic appointments and achieving independent funding through the National Institutes of Health (NIH) and other federal agencies. Our Health Equity Leadership Institute (HELI) program has been designed in partnership with our academic collaborators at the Maryland Center for Health Equity in the School of Public Health, University of Maryland College Park. The HELI program is carefully structured to include both large didactic sessions, as well as small group sessions, special events, and mentoring opportunities. Each year we showcase translational research efforts underway here in Wisconsin. 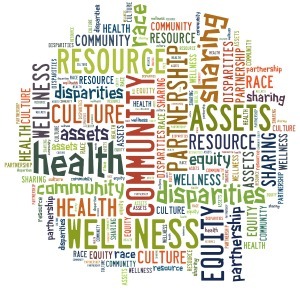 Each has a health equity/disparities focus and is being conducted in partnership with diverse community partners. We also highlight exciting community-based participatory research initiatives exploring individual decision making about participation in biomarker research projects. We often introduce some of our community partners who reside in both rural and urban settings of Wisconsin. Importantly, the Institute is also designed to foster professional networking for participating scholars and to create a collaborative learning environment for both Institute scholars and faculty. To ensure that attending scholars obtain the most from their Institute experiences, we select from all applicants a cohort of up to ~30 Scholars (~15 from within/~15 from outside of Wisconsin) that is diverse across academic levels and disciplines, community experiences, career objectives, and current roles. Thoughtfully considering opinions and information shared by other Scholars and faculty. In turn, we will offer Scholars a variety of excellent presentations by experts from UW, other academic institutions, and the NIH. We will provide multiple learning opportunities, as well as access to potential resources to enhance each Scholar’s ability to conduct successful health disparities research. Special emphasis will be on utilizing translational research resources and working successfully on collaborative community-academic research teams. Through this experience, we hope that Scholars will establish long lasting relationships with new colleagues and that, together, new interdisciplinary teams of translational researchers will advance health equity solutions for all communities.